The purest blend of engaging driving dynamics and wider range of unique and vibrant options than ever before. Discover your perfect Fiesta with Vospers Ford. Ford Fiesta personalisation options include a choice of body colour combinations with roof, door mirror and alloy wheel choices - you really can make the exterior of your Fiesta as unique as you. As well as exterior personalisation there are also an assortment of interior design flourishes to match exterior colours; with contrast stitching on the steering wheel, floor mats and seat trim as well as instrument panel colour accents, centre console and interior door handle options to match your selected unique exterior body. With the addition of the new ST and Active models, the Ford Fiesta line-up is now wider and better than ever before – each model provides a unique signature of Fiesta – exceptional driving dynamics combined with stunningly good head turning looks. Choose the Fiesta that suits you, your personality, and the way you want to drive. ST-Line offers the practicality of the Ford Fiesta with the additional eye-catching aesthetics of a performance-like vehicle. Unique ST-Line exterior bodystyling, ST-Line branding, and a distinctively stylish interior, all emphasise the sport inspired character of its design. ST injects exhilaration of motorsport performance into your everyday journey. Engineered to energise the senses, the new 1.5 litre 200 PS Ford EcoBoost petrol engine is capable of 0-62mph in just 6.5 seconds. Unique features include 18” alloy wheels with red brake callipers, exclusive ST bodystyling and Recaro sports front seats. Delivering a spirited driving experience like no other, the Fiesta ST delivers remarkable handling and driving dynamics. The spirit of adventure. Fiesta Active. Active is a new evolution of the iconic Ford Fiesta. A crossover of Fiesta fun and sophistication, wrapped with the standout styling of an intrepid explorer. With a commanding character to match its larger SUV cousins, the Fiesta Active’s unique exterior features a rugged bodystyling kit with Active front wing badges, rough road suspension – including increased ride height – roof rails and rear privacy glass. The ultimate expression of luxury. Fiesta Vignale. Vignale is simply the best of Ford. Outstanding craftsmanship and attention to detail make the Fiesta Vignale an exclusive premium luxury choice that shines. Exclusive exterior features such as satin-alluminium styling on bumpers, unique Vignale grille, and optional Vignale design 18” polished alloy wheels – all make the Vignale stnd out from the other Fiesta models. Stay connected. Meet your phone’s new best friend. Ford SYNC 3. Seamless integration with your compatible smartphone lets you control everything from phone calls, text messages, music and navigation through the touchscreen display and voice commands.  And now for the first time ever, you and your Ford can seamlessly connect and stay connected wherever you are; FordPass Connect modem and FordPass App. Save time with FordPass Connect offering Live Traffic, on board WiFi, remote lock/unlock and remote start with defrost mode. Keep an eye on your Ford Fiesta’s vitals with vehicle health alerts; fuel, mileage and tyre pressure monitoring all accessible on your smartphone wherever you are. It doesn’t get better than Bang Olfuson. That’s why the Ford Fiesta comes with the best in premium sound delivering the music of your choice; classic tracks or modern anthems as your favourite artists intended. Decide between premium luxury with Titanium, Titanium X and Vignale; sport-inspired styling with the ST-Line and ST-Line X; outdoor adventure with the Active series; true sports performance with the new Fiesta ST. Engineered for economy. The story of efficiency. International Engine of the Year Awards Winner. A small but mighty turbocharged 1.0-litre engine available in 85 PS, 100 PS, 125 PS, and 140 PS. Fiesta is packed full of technology. Let your Fiesta park itself; with Active Park Assist your Fiesta can not only help you find a parking space but also get you in and get you out. Ford Lane-Keeping System; an extra pair of eyes keeping you safe and in lane when travelling above 40mph. Adaptive Cruise Control; set your desired speed and a safe distance from the vehicle in front of you and allow your Fiesta to maintain distance. Blind Spot Information System; driver alert with visual and audible alerts when vehicles are in your blind spot. Heated steering wheel; a driver’s perfect way to start a cold frosty morning. Retractable door edge protectors; activated when your Fiesta car doors are opened designed to prevent undue damage. Traffic Sign Recognition; an ability to read road-speed signs. Auto High Beam; automatically switch between full beam and dipped headlights thanks to oncoming vehicle detection.